With supermarkets’ insistence on attractive presentations, tray styling is a priority for some poultry processors. 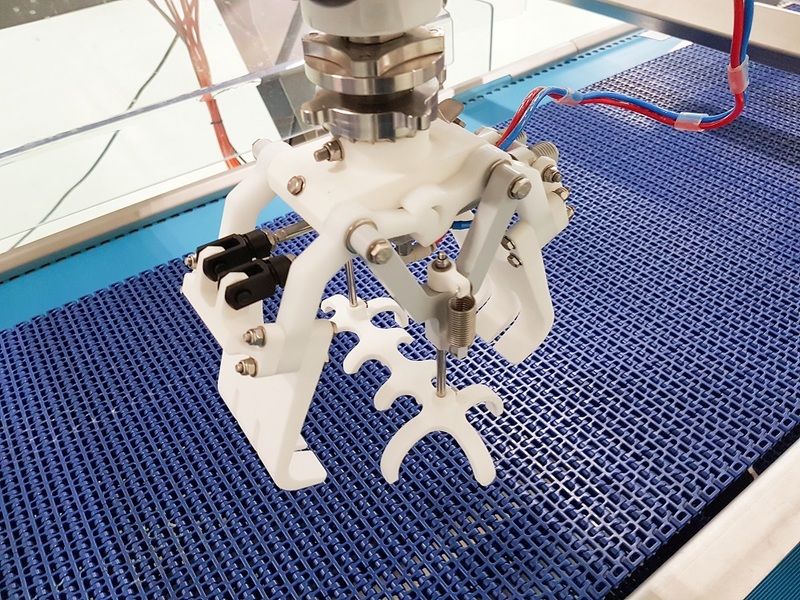 Marel has launched RoboBatcher Flex grippers to help when packing fillets, drumsticks, and whole legs. They allow fixed-weight batched products to be placed into trays, according to patterns chosen by the user. Despite their high speed, they handle products with care, and also save on labour. Fillets, drumsticks, or whole legs arrive on a belt and the vision system detects the orientation of every product, passing this information to the gripper. The gripper is then able to automatically adjust its angle, always picking up the product in the same way. The company’s grippers don’t ‘drop’ products, as bounce would cause a loss of control of how products are positioned. Instead, the gripper moves to the bottom of the tray to release product in exactly the right spot. The jaws of the gripper open no more than necessary, which is particularly important for the final product to be placed in each tray. The ‘smart’ jaws of the drumstick and whole leg grippers pick up products a way that allows the robot to easily arrange products in the tray with their ends alternately positioned. This results in a regular pattern and a ‘well styled’ tray. Chicken fillet packing requires a different approach and, therefore, a different gripper. The tail of a breast fillet may protrude over the edge, making tray sealing impossible. So the RoboBatcher fillet gripper has a tail bending device, which pushes tails down when picking up fillets. The gripper then descends into the tray, making sure that nothing goes overboard.